Although he is a high profile business man, this 48-year-old man was so unhappy with his smile that he would hide it so no one could see his crowded and crooked teeth. He was uncomfortable with the look of traditional wire braces and wished to keep his treatment private. Invisalign straightened his teeth in sixteen months without anyone knowing. He could talk, do business and socialize without anyone seeing he had “braces”. 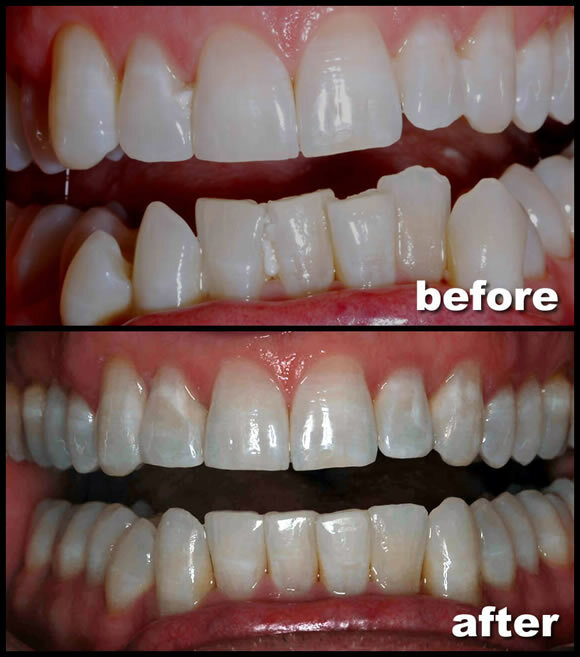 We also whitened his teeth which is included in all of our invisalign cases. Now with straight and white teeth, his smile is amazing. He can feel confident and assured and no longer needs to hide his smile.